A little pack for little adventurers. The Kids Little Joe Rucksack has a child-friendly design and is a great pack for the junior outdoor enthusiast. 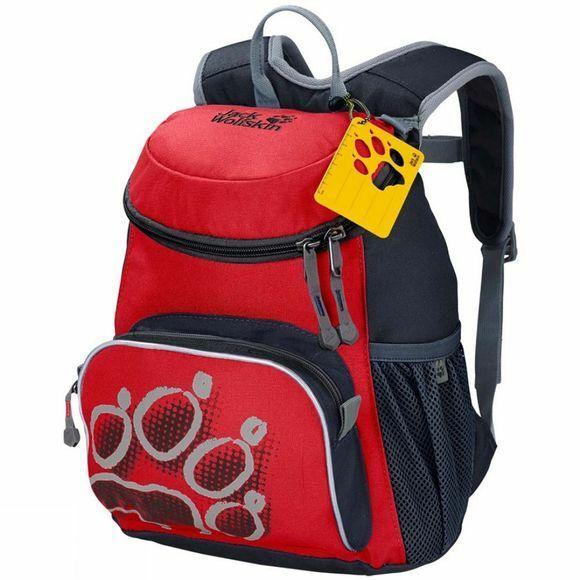 It's the ideal day pack for the kindergarten or their first little hiking trips. Snacks, teddy and rain jacket can be stashed in the four practical compartments: the main section, front pocket and two mesh side pockets–so they are easy to find again when needed. To ease the strain on the child's back, we paid particular attention to the back system design. The Snuggle Up system has flexible shoulder straps that sit snugly and can be fastened in place with the sternum strap. This system holds the pack in the right position, even during rough and tumble playtime. All the buckles are child-friendly and can be operated without adult help.